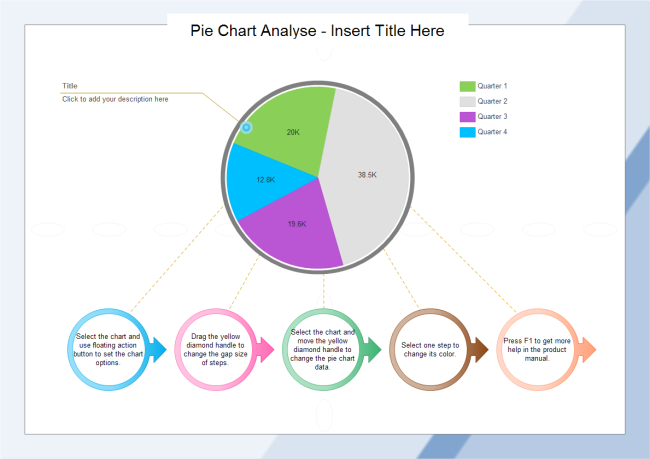 Description: A free customizable pie chart analysis template is provided to download and print. Quickly get a head-start when creating your own pie chart analysis. Instead of having a single pie chart with only numbers which may be abstract to some people, you can add some description and explanation to analyze the statistics in this template.